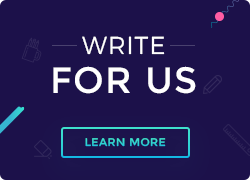 Get Up To 60% Off on Hosting! What is Hybrid Cloud? What are the benefits of Hybrid Cloud? Cloud Computing is the present of technological advancement and a glimpse into what the future will be. It has integrated itself firmly with technologies such as Artificial Intelligence (AI), Internet of Things (IoT) etc. and has changed the way users store, access and exchange data across the globe. Cloud, in a nutshell, solves several issues by making collaboration simpler over the internet. Not only that, it eliminates the need for expensive external hardware and storage devices. There are primarily three types of cloud viz. Public cloud, Private Cloud and Hybrid Cloud, as well as, three types of cloud models viz. SaaS, PaaS and IaaS. In this article, I’ll walk you through what Hybrid cloud is, its benefits and when should you as a business decide to make the switch. Let us begin by understanding the building blocks of Hybrid, Public and Private Cloud. Public Cloud, is an open cloud environment whose server space is accessed by everyone sharing the server. It is the most common form of cloud and is available through third-party service providers. Here the hardware, software and any other infrastructure required is handled by the cloud provider. Public cloud is usually accessed via a web browser.Examples of public cloud are Infrastructure-as-a-Service environments like Amazon Web Services (AWS)and Microsoft Azure,. Platform-as-a-Service environments like AWS Elastic Beanstalk and Software-as-a-Service like Microsoft Office 365. In Private Cloud, the cloud is restricted to one particular group of people/organization. Here the cloud architecture is dedicated and can be physically present at your organization’s data centre. Otherwise, it can even be hosted on a third-party service provider. However, in a private cloud, the services can only be accessed within the company’s network.Example of a private cloud is, cloud architecture used by SMBs and various government and financial agencies. Having seen what public and private cloud mean, let us now have a look at what is Hybrid Cloud. Hybrid cloud as the name suggests, is a combination of both public and private cloud, providing ‘the best of both worlds’. With a hybrid cloud, business owners have the flexibility of shifting to a partial cloud base while retaining some applications on-site. Hybrid cloud acts as a great incentive to move users to adopt the cloud.Being a distributed system, hybrid cloud organizations can easily migrate their data and applications, as well as, share applications amongst each other. 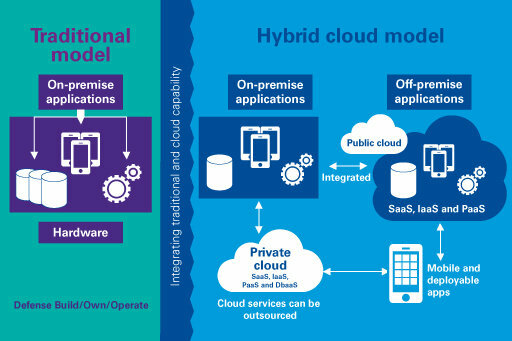 Hybrid cloud is a combination of public and private and has the benefits of both. Here we see the top 3 hybrid cloud benefits. Hybrid cloud allows users to transfer resources from an on-premise private cloud to public cloud and vice-versa. This way you can avail additional resources with ease (on-demand infrastructure). Application and service deployment is swift. Additionally, it provides end-to-end security for the data stored. Moreover, if your business deals with a huge amount of data then, hybrid cloud is perfect to analyze this data and easily manage the workload between the environments to match the changing business needs. Hybrid cloud is highly cost-effective because of its ability to quickly organize, use and scale data and applications as and when needed. This way you need to only pay for the extra resources when you need them. Should you make the switch? Having seen what a hybrid cloud is and the advantages it has for your business, the pressing question is, should you switch to hybrid and secondly when to switch to non-hybrid models? Chances are you’re an old-school business and have always used the traditional way of computing. Asking you to switch from the traditional model to cloud can be a bit intimidating as you may be wary of trusting a third-party service provider with your data. In that case, a hybrid cloud comes as the rescuer, blending on-premise, private cloud and public cloud services. The decision of switching to either a public, private or a hybrid cloud totally depends on your business model, as well as, the hardware and software capabilities of your business. If you have sufficient on-premise infrastructure, then you can opt for a private cloud or a hybrid cloud. Also, if you wish to move your business completely over the cloud and not worry about managing the infrastructure, then a public cloud is the one you should switch to. Also, since you’re reading about the cloud and the various models, you can even visit our website to know more about our Cloud Hosting. It helps businesses by providing infrastructure and easy maintenance, as well as, management of data, enabling you to concentrate on building your business. Hope this article helped you understand what is Hybrid Cloud and when to switch to it. If you have any suggestions or queries, please feel free to ask them in the comments section below! In the days of yore, H. Fatima used to be an Engineer by profession and Writer by passion until she started pursuing full time writing. Her blog is a collection of short vignettes, stories and poems. She mostly writes what she deeply perceives and analyzes. It is her way of unwinding. Her interests include writing, reading (an avid reader), listening to various genres of music, volunteering and watching movies.